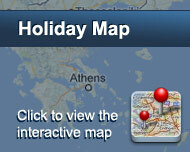 Pirgos Stelida Hotel is situated in a privileged location very close to the Town of Naxos. The deep blue sea lies in front of your eyes creating a unique summer scenery, the most unforgettable for your holidays. Everything here is calm and peaceful, even the sea. The only thing that can wake you up is the morning sun light entering through the windows. The main building is surrounded by other, smaller joined in together through a beautiful yard. 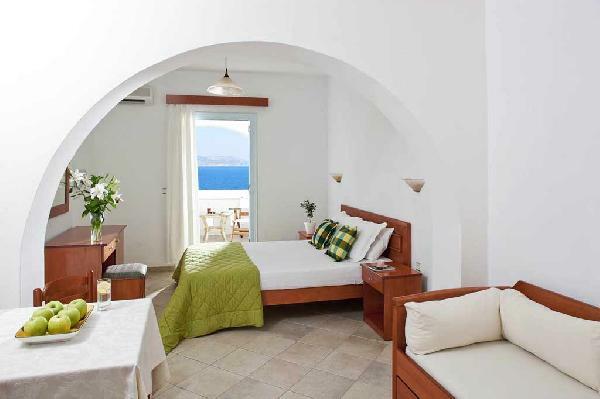 The rooms are really spacious and can accommodate up to 4 persons. 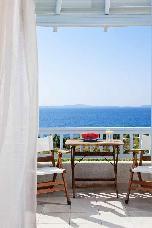 There are rooms ideal for families. 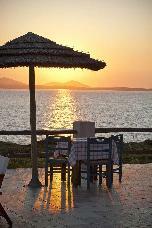 There is a restaurant serving traditional recipes and dishes from the Naxian cuisine all prepared with local products. Try our specialty, Kakavia and you won’t regret it. 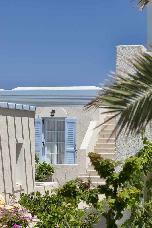 You are welcome to enjoy the sun and a cold drink at the garden viewing the endless Aegean sea. The hotel offers high quality services for a pleasant stay. We offer transfer to/from the airport /port, laundry, drying and ironing, as and rent a car service. 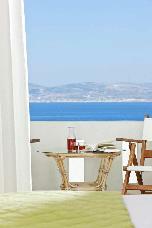 There is a parking space available for the guests of Pirgos Stelida Hotel. Είστε ιδιοκτήτης ή διευθυντής στο PIRGOS STELIDA; Εγγραφείτε τώρα για δωρεάν εργαλεία, που μπορείτε να χρησιμοποιήσετε για να βελτιώσετε την καταχώρησή σας και να συνδέσετε την ιστοσελίδα σας και το σύστημα κρατήσεών σας.